My name is Justine Martinez. I was born and raised in Manila, Philippines. When I was 11 years old, my family and I immigrated to Echo Park, Los Angeles. Inspired by my mother’s daily struggles to provide for the family, I studied hard with the hopes of being in position to help her in the future. I attended Santa Monica College and earned my Associate’s Degree in Social and Behavioral Sciences. After two years, I transferred to UCLA andearned my Bachelor’s Degree in Psychology. Upon graduation, I began working as a Legal Assistant and soon became the Office Manager at Sullivan and Triggs, LLP, a corporate and securities law firm. I value the people I work with, my close friends, and most especially, my family. I am grateful for the path that my life has taken, but I am determined to keep growing both professionally and personally. Needless to say, I am very excited to begin my MBA journey with the LMU family! I have been involved in college athletics as an athlete, intern, Graduate student, Assistant Coach and Head Strength and Conditioning Coach at the Division I level and it has afforded me a ton different experiences. My goal is to develop athletes to be exactly that, athletes. No matter what arena they perform in, strength is onlyimportant if an athlete can apply it and be successful. I am a New Jersey native who graduated from Syracuse University in 2003 with a BFA in Art Photography. I have spent the past 13 years living and working in both NYC and LA. I began my career with an internship at Martha Stewart Living Omnimedia and quickly moved on to several magazine photo editor positions where I produced photo shoots, licensed existing content, managed budgets and met tight deadlines. When I moved to LA I transitioned to the photo syndication business. I first worked for a small boutique agency that focused on the licensing of celebrity portraiture. For the past six years I worked for the Bill Gates owned agency, Corbis, where I held the celebrity publicist liaison position. This was a sales focused role that required strong communication skills, an ability to consistently follow through and a deep understanding of our client's needs. I ultimately decided to pursue an MBA at Loyola Marymount University. I am excited to begin this program and dive deep into all aspects of business. I was born in Jerez, Zacatecas and colonial city in the desserts of Mexico. I was raised in beautiful Napa Valley where my father's side of the family have dedicated their livelihood to wine production since the 1960's. I attended UC Santa Cruz where I receivedmy Bachelors Degree in Politics and Sociology. After graduation I embarked on a marketing trajectory. I joined the Elizabeth Spencer Winery team in the summer of 2011 and worked as Wine Club and Marketing Manager to establish a consistent representation of the brand through collateral, email campaigns, website, social media presence and customer service techniques. I look forward to advancing my managerial and marketing experience while at LMU. Cheryl Wong is an Administrative Specialist at Loyola Marymount University, but her passion is helping others around the world through projects with Rotary International. One such project was a Dominican Republic school sponsorship that she planned and successfully executed over the course of ten months. Her work experience is diverse. She is presently the Assistant to the Chief of Public Safety and thedepartment Office Manager. Before entering higher education, she was in Events Production, planning award shows and parties for companies such as ASCAP and The Recording Academy. She also worked in the banking industry for eight years. Cheryl has a Bachelor of Arts Degree in Psychology from California State University, Dominguez Hills. In her spare time, Cheryl enjoys being a foodie and traveling. One of her goals is visiting all seven continents. I grew up in Barrington Rhode Island and remained in Rhode Island for about 22 years. I attended the University of Rhode Island and received an undergraduate degree in Communication Studies. Prior to graduation I began interning with a social impact company called ConnectedLiving. After several months of full-time work with ConnectedLiving I was promoted to the position of Implementation Manager and wassent to Los Angeles in order to help ConnectedLiving establish a national presence. After two years working in operations for ConnectedLiving I began working as a sales producer for Farmers Insurance while pursuing a graduate degree. Tamara Abdulmajed graduated from Loyola Marymount University with a degree in Business Administration, Finance. She began her career in the investment industry as a client service assistant at Oppenheimer & Co, supporting two brokers and servicing clients needs. Pursuing an MBA in marketing, Tamara hopes to complement her analytical background and develop her expertise inthe field to meet the needs of the ever changing industry. A specific area in marketing she finds compelling is brand management, particularly in the health and wellness arena. Nataly Blas is the Reference & Instruction Librarian for Business at Loyola Marymount University (LMU). Prior to LMU, Nataly served as the Diversity Resident Librarian at the University of North Carolina at Greensboro where she spearheaded many diversity initiatives. Nataly received her B.A. in Public Relations with a minor in Hispanic Marketing at Florida State University (FSU) and her MLIS from FSU as well.Nataly’s research interests include change management, organizational culture and women in leadership. D. Antione Dixon is a photographer and video producer and has been passionate about entertainment media since 2006. D. Antione graduated from DePaul University in 2010 with a Bachelors in Digital Cinema with a focus in Producing. He currently works as a video producer and photographer for his company, 03 Productions. You can see his work at www.OthreeProductions.com. He is a proud member of Alpha Phi Omega International service fraternity. In his free time, D. Antione enjoys watching cooking shows, traveling and going to the movies with his wife, Tasha, writing poetry, photography and reading. Melissa Gerber is a B2B Marketing Lead at Oath (formerly Yahoo!) in Playa Vista. The Chicago native graduated from the University of Miami in Coral Gables, Florida, with a Bachelors of Science in Communication (majors in Spanish and Visual Journalism). When she isn't supporting the Oath sales team or attending classes at LMU you can find her on her surf board or bicycle. Erik Jorgensen graduated from California State Polytechnic University, Pomona with a degree in Technology and Operations Management and an emphasis in Supply Chain management. He began his career working for a chair manufacturer, Exemplis Corporation, as a Supply Chain Specialist. He then entered Northrop Grumman as a Procurement Analyst and was recently promoted to the position of Proposal Analyst, estimating costs for the F-35 fighter jet. 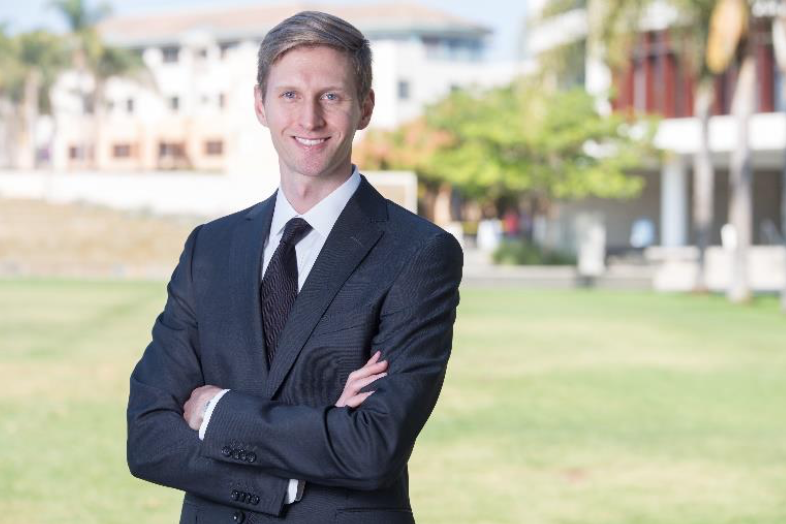 As a member of the MBA program at LMU, Erik hopes to further his business knowledge and translate his studies to actively engage in strategic level decisions in the business world.